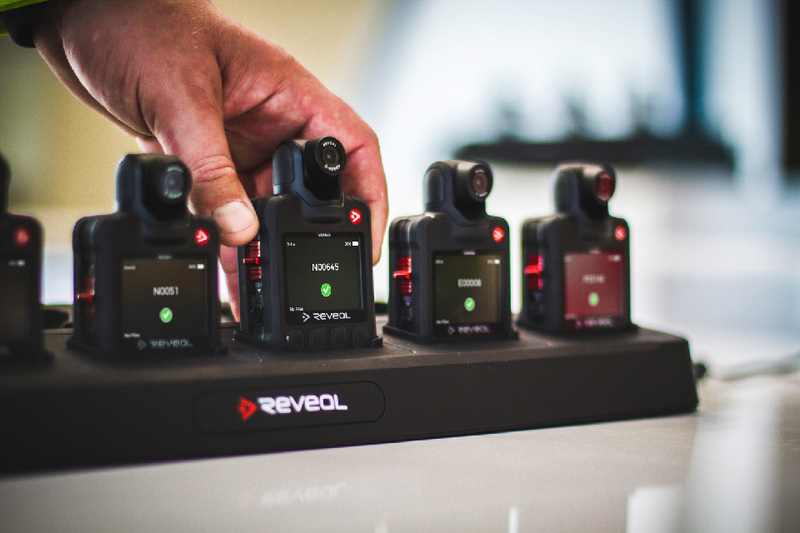 Reveal was the first manufacturer to introduce AES encryption in a body camera, so security has been at the heart of our products for a long time. This signature Reveal feature has a proven calming effect on people being recorded and maximises transparency with the public. When appropriate, the screen can also be used to view video back in the field, without needing a smart phone or a PC. Being able to direct the head allows the camera to be worn in various places on people of all shapes and sizes, or head mounted on a helmet or cap. The camera can also be used in vehicle, as an interview recorder or a handheld camera. 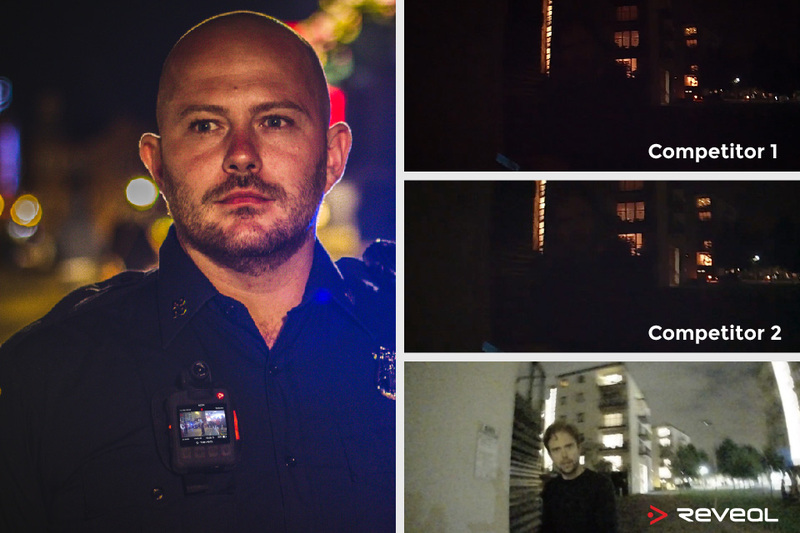 Having a single, quick and simple action to turn the camera on has always been an essential feature in our body cameras. 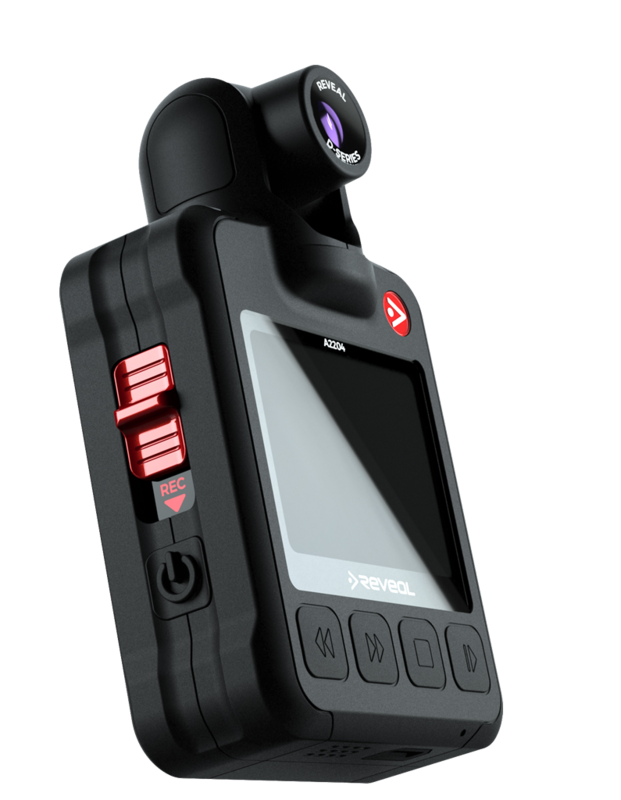 Our intuitive red sliding switch is a positive action that confirms activation by the physical position change on the camera and is easy to operate for officers on the go. Reveal has always put design at the forefront of our product philosophy. We understand that users want to feel an affinity with what they wear and the equipment they use. Really good design takes time and meticulous attention to every detail. Not only are our cameras supremely easy to use, they are also designed to be products that users are proud to wear. The D5 has the ability to stream in real time from the camera through a WIFI network or via a mobile device connected to a cellular network. High quality video can now be seen live anywhere in the world allowing real-time situational awareness and decision making. This ability has the potential to completely transform certain incident handling and outcomes, giving our customers a totally new tool to enhance their effectiveness. 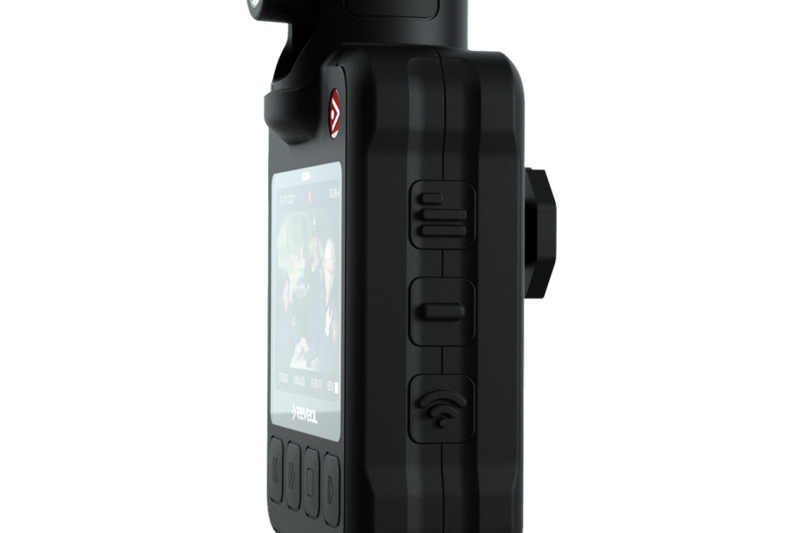 The D5 is location aware and includes GPS information in the video metadata when paired with a smartphone during recording. This brings important positioning information into the frame. Bluetooth triggers allow the D5 camera to be activated remotely via a beacon, freeing the user from manually turning the camera on. 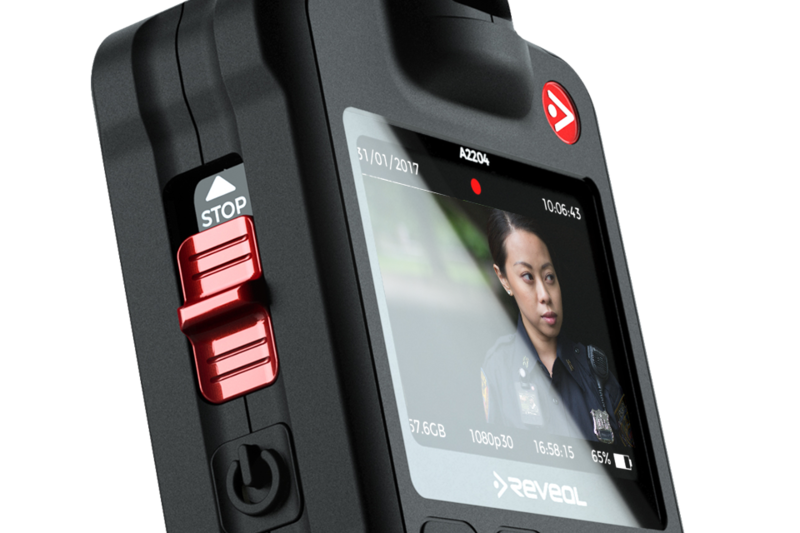 For example, the D5 can be triggered to start recording automatically when the officer wearing the camera leaves his vehicle. The D-Series have been designed to optimize low light performance to a new level using state of the art technology that far exceeds any other body camera on the market. *12 hour battery – footage recorded at 720p, with screen on. *15 hour battery – footage recorded at 480p, with screen off. The D5 has a capacity of 64GB which can store over 20 hours of 1080p HD video, or over 68 hours of 480p. Whatever recording resolution is being used, the user can be confident in the available memory on the camera. We have designed the D-Series for daily life on the front line. We've made hundreds of adjustments during the design process to increase the strength and durability of the D-Series. As well as re-enforcing the internal structure, we've added extra toughness by creating rubberised armour using a two stage moulding process. This not only provides extra hand-grip, it greatly enhances the ability of the D-Series to shrug off knocks and drops. We've also added a waterproof USB port and toughened screen protection making the D-Series incredibly durable. Simply dock* your camera and DEMS 360* will do the rest. The forward facing screen displays the booked out and uploading status of the camera so you can always see when it's good to go.